Last year on my blog, I shared a video that demonstrated what is possible with cross-channel user experiences and Drupal. We showed a sample supermarket chain called Gourmet Market. Gourmet Market wants its customers to not only shop online using its website, but to also use Amazon Echo or push notifications to do business with them. The Gourmet Market prototype showed an omnichannel customer experience that is both online and offline, in store and at home, and across multiple digital touchpoints. The Gourmet Market demo video was real, but required manual development and lacked easy customization. Today, the launch of Acquia Journey and Acquia DAM makes building these kind of customer experiences a lot easier. It marks an important milestone in Acquia's history, as it will accelerate our transition from website management to data-driven customer journeys. Successfully delivering a B2One experience requires an understanding of your user's journey and matching the right information or service to the user's context. This alone is no easy feat, and many marketers and other digital experience builders often get frustrated with the challenge of rebuilding customer experiences. For example, although organizations can create brilliant campaigns and high-value content, it's difficult to effectively disseminate marketing efforts across multiple channels. When channels, data and marketing software act in different silos, it's nearly impossible to build a seamless customer experience. The inability to connect customer profiles and journey maps with various marketing tools can result in unsatisfied customers, failed conversion rates, and unrealized growth. Many organizations lack a single-source of truth when it comes to managing digital assets. This challenge has been amplified as the number of assets has rapidly increased in a world with more devices, more channels, more campaigns, and more personalized and contextualized experiences. 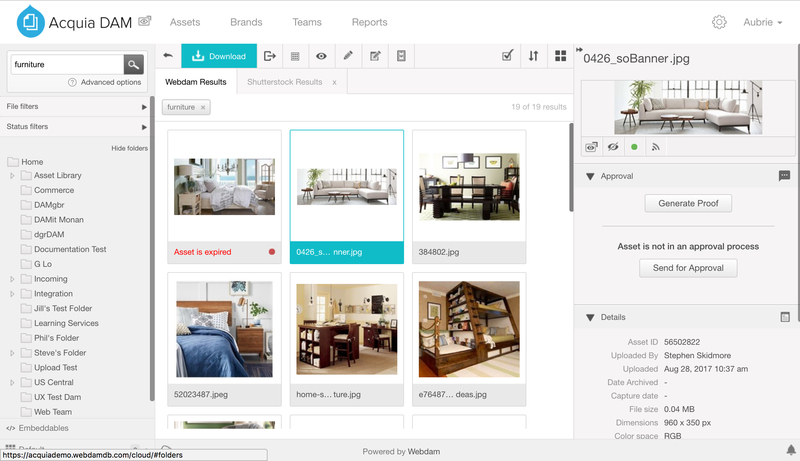 Acquia DAM provides a centralized repository for managing all rich media assets, including photos, videos, PDFs, and other corporate documents. Creative and marketing teams can upload and manage files in Acquia DAM, which can then be shared across the organization. Graphic designers, marketers and web managers all have a hand in translating creative concepts into experiences for their customers. With Acquia DAM, every team can rely on one dedicated application to gather requirements, share drafts, consolidate feedback and collect approvals for high-value marketing assets. Acquia DAM seamlessly integrates with both Drupal 7 and Drupal 8 (using Drupal's "media entities"). In addition to Drupal, Acquia DAM is built to integrate with the entirety of the Acquia Platform. This includes Acquia Lift and Acquia Journey, which means that any asset managed in the Acquia DAM repository can be utilized to create personalized experiences across multiple Drupal sites. Additionally, through a REST API, Acquia DAM can also be integrated with other marketing technologies. For example, Acquia DAM supports designers with a plug in to Adobe Creative Cloud, which integrates with Photoshop, InDesign and Illustrator. However, many of our customers need more than content management to be digital winners. The ability to orchestrate customer experiences using content, user data, decisioning systems, analytics and more will be essential to an organization's success in the future. 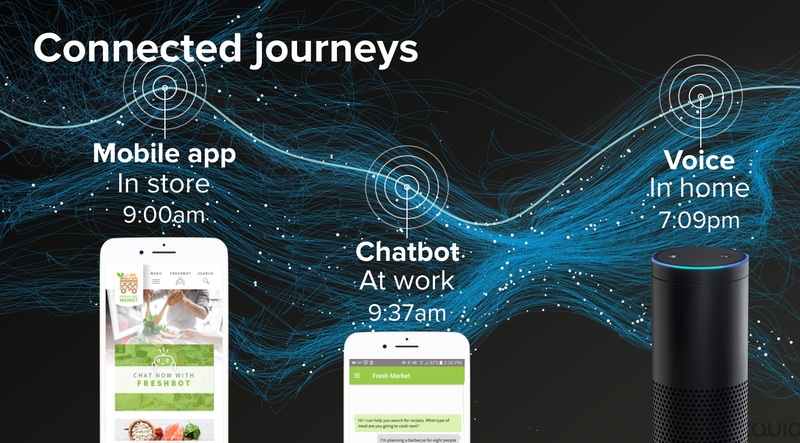 Acquia Journey and Acquia DAM will remove the complexity from how organizations build modern digital experiences and customer journeys. We believe that expanding our platform will be good not only for Acquia, but for our partners, the Drupal community, and our customers.